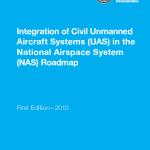 A collection of presentations from June 2012 detailing the NASA Unmanned Aircraft Systems (UAS) Integration in the National Airspace System (NAS) Project’s efforts to integrate drones into the national airspace including technical problems with frequency allocation as well as technologies designed to avoid mid-air collisions. In the present report, the Special Rapporteur focuses on the use of lethal force through armed drones from the perspective of protection of the right to life. Although drones are not illegal weapons, they can make it easier for States to deploy deadly and targeted force on the territories of other States. As such, they risk undermining the protection of life in the immediate and longer terms. If the right to life is to be secured, it is imperative that the limitations posed by international law on the use of force are not weakened by broad justifications of drone strikes. 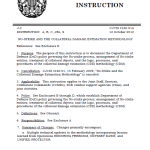 This handbook provides pre-doctrinal guidance on the planning, execution, and assessment of joint integrated persistent surveillance (JIPS) by a joint task force (JTF) and its components. 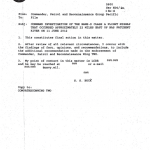 Significant prior work has been done in support of persistent intelligence, surveillance, and reconnaissance (ISR) and much of the information in this handbook was gleaned from that data. 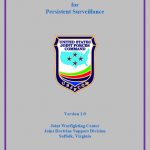 However, the scope of this handbook pertains to the subset of persistent surveillance: the processes which contribute to creating a persistent surveillance strategy and those required for executing persistent surveillance missions. 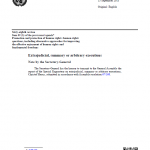 The document serves as a bridge between current best practices in the field and incorporation of value-added ideas in joint doctrine. Unmanned Ground Systems consist of a powered physical system with no human operator on aboard the principal platform, which can act, either operated remotely or with some degree of autonomy, to accomplish assigned tasks. Unmanned Ground Systems may be mobile or stationary, can be smart learning, self-adaptive, and includes all associated supporting components such as Operator Control Units (OCU). Rapid advances in technology have led to the development and increased use of unmanned aircraft. That technology is now making its way into the hands of law enforcement officers nationwide. We also live in a culture that is extremely sensitive to the idea of preventing unnecessary government intrusion into any facet of our lives. Personal rights are cherished and legally protected by the Constitution. Despite their proven effectiveness, concerns about privacy threaten to overshadow the benefits this technology promises to bring to public safety. From enhanced officer safety by exposing unseen dangers, to finding those most vulnerable who may have wandered away from their caregivers, the potential benefits are irrefutable. However, privacy concerns are an issue that must be dealt with effectively if a law enforcement agency expects the public to support the use of UA by their police. Why is SOCOM Lying About Domestic Drone Activities? A spokesman for U.S. Special Operations Command (USSOCOM) has provided statements to publications in New Hampshire and Oregon indicating that information regarding domestic drone activities provided by Public Intelligence is inaccurate, despite confirmations from the offices of two U.S. Senators. Following our publication last week of a map of current and proposed Department of Defense drone activities within the U.S., several journalists with local publications around the country wrote articles regarding drone activities that were listed in their area. David Brooks of the Nashua Telegraph wrote about the listing of New Hampshire’s Mt. Washington as the site of a USSOCOM drone activity involving small unmanned aerial vehicles including the Raven and Wasp. Corey Pein of the Willamette Week wrote about a planned USSOCOM drone activity in Portland that was listed as utilizing the same types of drones. Several tables displaying the current Department of Defense unmanned aircraft systems (UAS) inventory levels (FY2012 budgeted inventory) and planned inventory through FY2017. 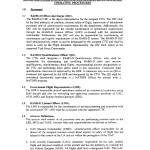 The information in the tables was taken from the recent Department of Defense Report to Congress on Future Unmanned Aircraft Systems Training, Operations, and Sustainability. 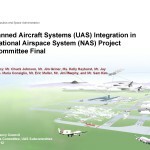 A presentation from April 2012 discussing NASA’s Unmanned Aircraft Systems (UAS) Integration in the National Airspace System (NAS) Project which will work to overcome problems integrating drones into the domestic airspace. Is your state in need of a growth industry that can employ large numbers of people and contribute to the local economy? You may want to consider the drone industry and that’s just what a number of states around the country have done. Ohio, in particular, has made this a prominent component of their statewide economic strategy, hoping to encourage local economic growth and create jobs by making the state the premier location for drone testing and research in the U.S. To further these efforts, the State of Ohio has worked with several business development groups to create the Ohio Unmanned Aircraft Systems (UAS) Initiative to promote the state’s prominent role in the drone industry. The potential for job growth presented by the Ohio UAS Initiative is highly coveted by a state that has lost more than 369,097 manufacturing jobs in the last decade. Restricted U.S. Army Unmanned Aircraft Systems (UAS) Ground Based Sense and Avoid (GBSAA) Airspace Integration presentation from July 2009.